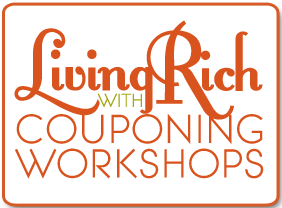 Attend a FREE Living Rich with Coupons Workshop and learn everything there is to know about couponing! We have 2 Workshops scheduled for right now! North Brunswick, NJ – Waitlist ONLY! If you are interested in hosting a workshop please e-mail megan@livingrichwithcoupons for the requirements. Post by Living Rich With Coupons.